It's simple and the antique brass adds the perfect touch of class. It beautifully compliments the hardware and adds a splash of warmth as well. I have seen this pendant light a million times on blogs and in mags and I never get tired of looking at it. Gorg. Now I have to tell you something. Both of these fixtures are sold by Visual Comfort Lighting. You wanna know something else? The incredibly talented Melissa of Veranda Interiors is giving away a $200 credit towards the purchase of any Visual Comfort fixture. So head on over to her blog and sign up! Oh and be sure to check out her photos of her GORGEOUS new home while you are there! I love it! So unique. I am so over basic recessed lighting!! cant even tell you how many times I picked up that mag just for that spread. stunning to say the least. Thanks for the shout out Tiffany! I am so excited about this giveaway and to see what the winner picks! 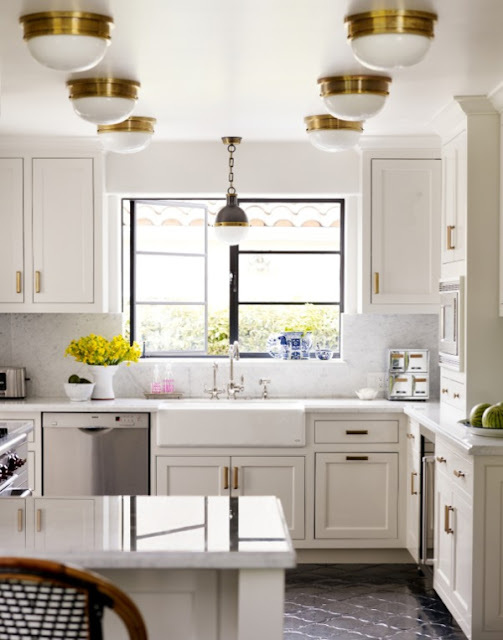 That kitchen is stunning and just reinforces that fact that I have to use brass in an upcoming house. Oh, how I love Visual Comfort lighting. My lamp that's backordered for my office is Visual Comfort. So said it won't arrive for 2 more months! 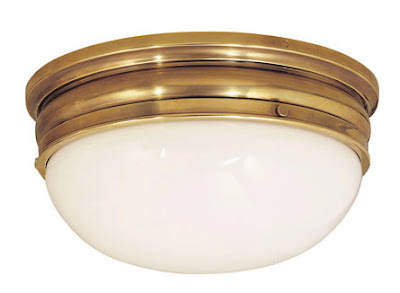 Beautiful light fixtures...love that brass is back in that new aged look. Your interview was great at Style for Living. It's alllll about the lighting! My home is in desperate need of great lighting and these lights are wonderful! Gorgeous kitchen!! That lighting has been appealing to me lately too. 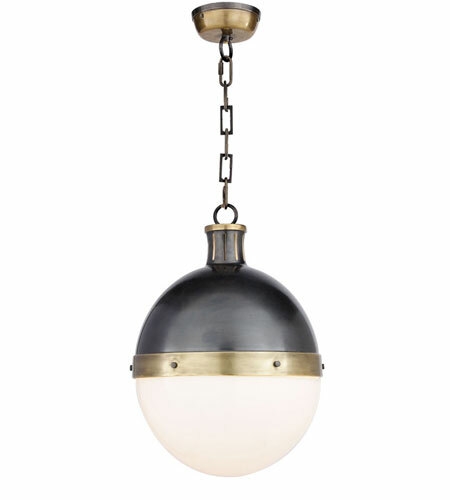 The pendant lighting reminds me of the ball shaped candle I made sometime back. REally nice!! Ah, just love this image! Those light fixtures are so amazing. Classic and modern with a touch of nautical. Lovin it! !